Absolutely excellent location close to town real home from! The apartment was clean and well decorated. It is well equipped with everything you need for your stay including cutlery, cooking utensils, iron and ironing board and hairdryer. It's a great location in the centre of Swindon, but also still a quiet location. Secure parking is available. The host has put a lot of thought into the apartment - a guestbook was provided with information about the accommodation and the area. Also there were instructions provided throughout the apartment for the various facilities. 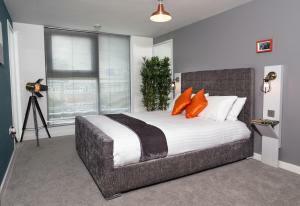 Lock in a great price for Hotel Apartments ByDesign – rated 9.4 by recent guests! Hotel Apartments ByDesign This rating is a reflection of how the property compares to the industry standard when it comes to price, facilities and services available. It's based on a self-evaluation by the property. Use this rating to help choose your stay! One of our best sellers in Swindon! 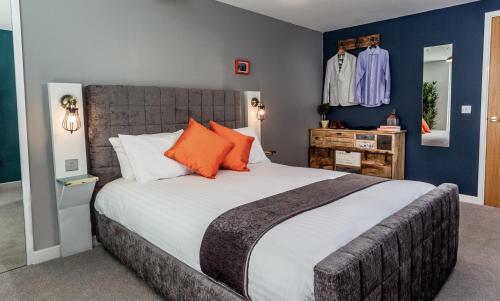 Boasting city views, Hotel Apartments ByDesign offers accommodations with a balcony and a king-size bedroom with air-conditioning, around 2.1 mi from Coate Water Country Park. Housed in a building less the 1,650 feet from the town center, this apartment is 3.1 mi from the Lydiard Park and provides free WiFi. The 1-bedroom apartment comes with a living room, a Smart TV with access to Netflix and Amazon prime, a fully equipped kitchen with a dishwasher and oven, and a bathroom. Private parking is available at the apartment. Hotel Apartments ByDesign offers a large balcony with seating and city views. Steam Museum of the Great Western Railways is 0.7 mi from the accommodations, while Swindon Designer Outlet is 0.8 mi away. 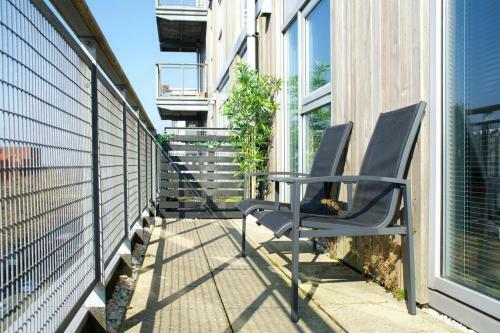 The nearest airport is Gloucestershire Airport, 29 mi from the property. 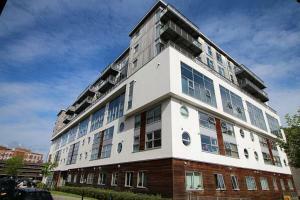 This property also has one of the top-rated locations in Swindon! Guests are happier about it compared to other properties in the area. This property is also rated for the best value in Swindon! Guests are getting more for their money when compared to other properties in this city. When would you like to stay at Hotel Apartments ByDesign? This apartment has a double bedroom with a king-size bed and air-conditioning, hairdryer and full-length mirrors. Private parking is available on site (reservation is needed) and costs GBP 5 per stay. A small boutique apartment nestled in the heart of Swindon. The brand has been one of Swindon's best kept secrets this year. Subtle décor and a deliberately low-key atmosphere have created a homely yet professional space for occasional visitors and frequent travellers alike. 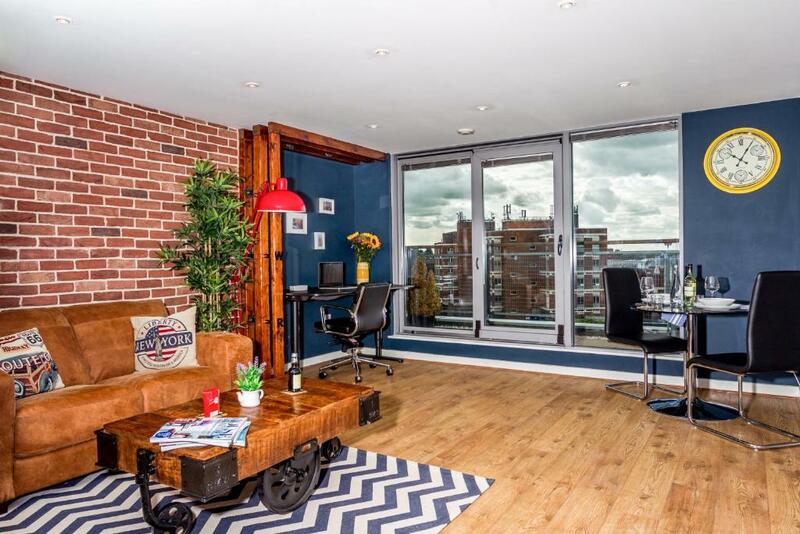 This property includes more then most with 55 square metres of living space to your self. Amenities include - Smart TV with access to Netflix and more. Adjustable office space with a printer/copier. 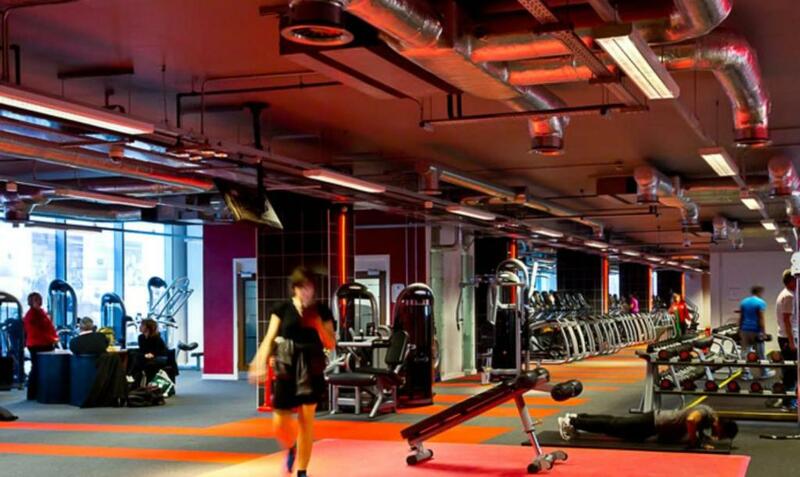 Secure gated parking and a very well equipped Gym. Swindon has a bright future. It is currently outlining it’s 30 year plan to cover transport, employment and an improvement in local services. Developments in the town centre and in Old Town promise to improve the quality of life still further. So there is every reason to stop by and stay in Swindon. 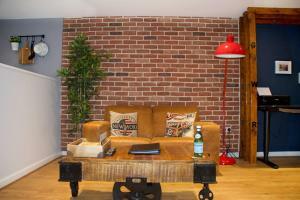 House Rules Hotel Apartments ByDesign takes special requests – add in the next step! Please inform Hotel Apartments ByDesign of your expected arrival time in advance. You can use the Special Requests box when booking, or contact the property directly using the contact details in your confirmation. The hall way had a strong smell of curry but this is no reflection on the host or the flat (you couldn’t smell it once you were inside). We would a million percent stay there again. The bed was not the comfiest....I prefer a firmer mattress and pillows. Bath towels could be fluffier and larger. A couple of bulbs were out (bedside light and in the fridge). The welcome pack mentioned that some food items would be provided including milk and jam.....this turned out to be UHT milk sachets and a Kit Kat which looked a bit measly after the brochure specifically mentioning it. Although as I don't eat dairy I wasn't fussed personally. Blanket and bedsheet totally worn out. Towels were missed and no remote control. The first was an oversight and not the end of the world. The second I understand went missing from previous tenants. Again not end of the world. Needs a proper coffee maker or even a cafetiere. Bedside light is not working. Comfy bed. Nice design and good kitchen. A little gem in Swindon for long distance travellers. In a gated compound so we felt very safe and had no concerns leaving the car there. The apartment was spacious, and with the bonus of a washing/ drying machine which certainly got a workout! Darron sent instructions on how to get into the apartment and the supervisor was very friendly and helpful. 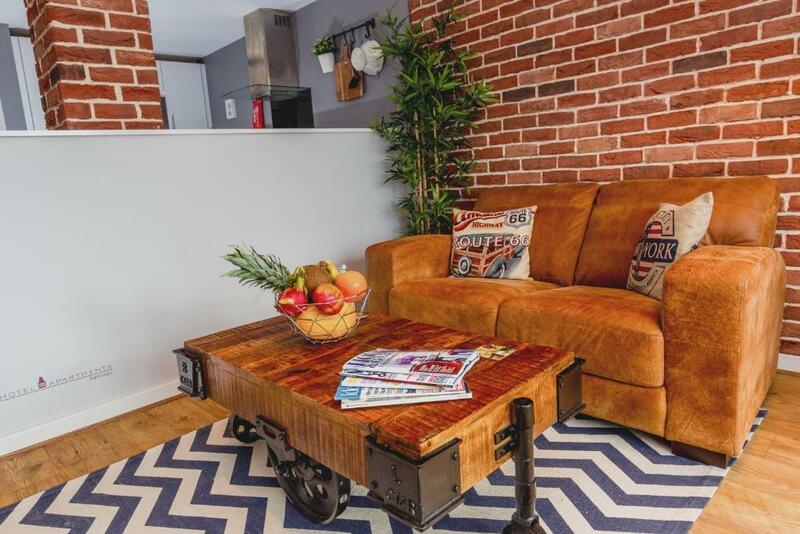 The apartment is ideally situated five minutes walk from the railway station and about the same from the main shopping area. Although the area is busy with cars there was little noise. Curry smell throughout the building Door to balcony wouldn't close properly, fault was there before we arrived. No potato masher Bedside light still not replaced. Hot water not available automatically for bath in the evening.